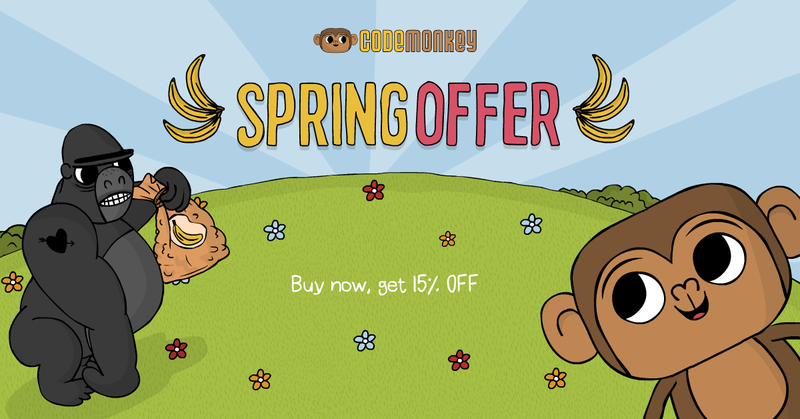 Spring Offer – Get 15% OFF! 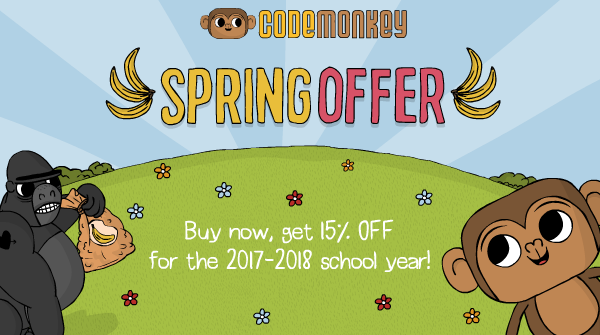 Millions of kids from all over the world are already writing code thanks to CodeMonkey, the game-based learning platform, teaches students eight years and older the fundamentals of real-world computer programming. Buy now, get 15% OFF for the upcoming school year! Sign-up today and help your students learn computer programming in a fun and engaging way. 200 Coding Adventure challenges that cover various coding topics such as variables, array indexing, loops, functions, and more! (all in a real coding language). 200 Skill mode challenges for accelerated practice on Coding Adventure topics. Teachers’ tutoring package: includes online training courses, management and reporting tools, automatic grading, and detailed lesson plans. Previous PostPrevious Ready, Set, Code!